Andy Tod testimonial season details! 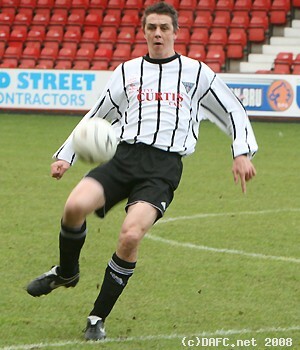 Andy Tod first joined DAFC back in November 1993 and has played all but two of the seasons since then at East End Park. Initial details have been sent in with a programme of events to celebrate his lengthy service with The Pars. The intention is to honour Toddy`s two spells at the club by hosting a number of events over the coming season. "My name is Mark Wilson, I`m the secretary for Toddy`s Testimonial Commitee, Indeed I`ve been Andrew`s best mate for the last 20 years or so. This is the first time details of the testimonial events have been posted on the web" Another DAFC.net exclusive then! Sun 22nd October: Fans Forum at East End Park. Details and prices to follow for this event which will hopefully prove to be popular. Depending on demand, more events will likely follow. Please look out for details on dafc.net! Asked the inevitable question about a testimonial match at East End Park, things are still at the planning stage with various potential opponents being looked at just now. Until opponents have been signed and sealed, nothing will be announced by the testimonial committee. Once again, watch out on dafc.net as full details will be provided on the site once opposition have been confirmed. Mark added "I`m really passionate about this being a memorable year for Andrew folks, but the more I get into this testimonial stuff, the more I realise how much it is geared as a celebration for the fans as well. I look forward to your support for a player that in my opinion is thoroughly deserving of a testimonial year." Confirmation of Toddy`s testimonial being granted came recently and all events will now take place within the space of the next year. 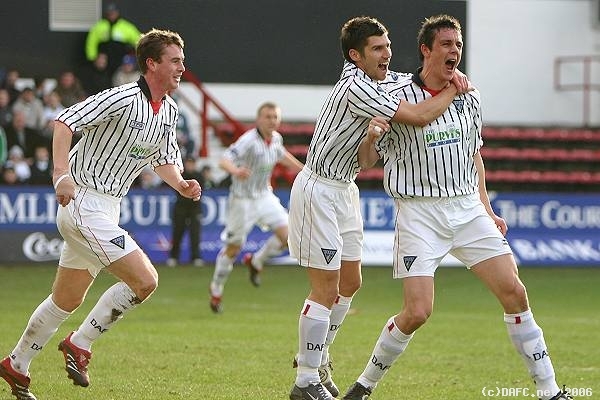 With Toddy having been around Dunfermline Athletic for such a long period of time, it is a chance for fans of all ages to pay tribute to the big defender. Having started out as a centre forward under Bert Paton`s management way back in November 1993, Tod ended up playing a major role in the team that narrowly missed out on promotion that season. 13 goals in just 19 starts (plus five appearances as a sub) was an incredible return for a young player fresh out of the junior leagues. A move to centre half soon followed and he became the long term partner of Norrie McCathie at the heart of the Dunfermline defence as the Pars once again missed out on promotion in 1995, once again by just a point. Toddy played a huge part in the side that battled back from McCathie`s death in January 1996, and went on to win the first division title for only the second time in the club`s history. A mainstay of the first team until Jimmy Calderwood`s first SPL campaign, the one time club captain was moved onto Bradford City in November 2001 for a huge fee of £175,000. This sale followed a short term loan spell at Stockport County a year before after Calderwood took over the reigns. An instant cult hero at Bradford, Tod`s return to goal scoring up front made him a fan`s favourite from his first game. 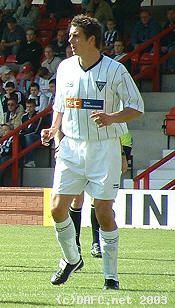 After losing his place, loan spells at both Hearts and Dundee United followed before he joined Dunfermline for a second time in July 2003 on a free transfer from Bradford. Mark has asked for any rare football footage of Toddy to be sent in, as archive videos to be played at the dinner event in September. Having now played well over 300 games for Dunfermline Athletic, we are proud to promote the Andy Tod testimonial campaign for the coming season.